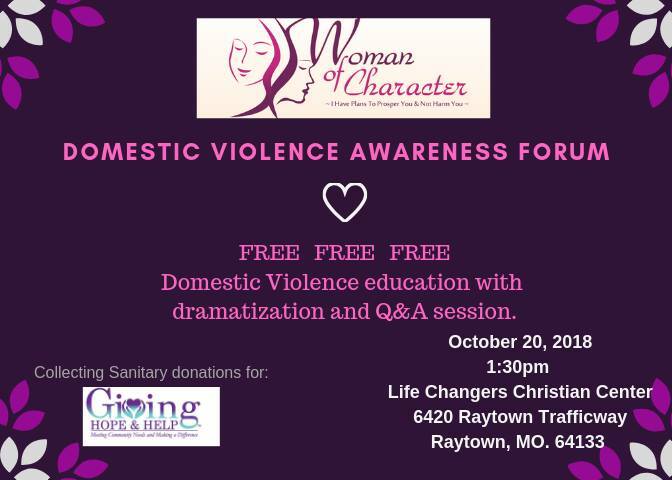 Woman of Character, Inc. is hosting a Domestic Violence Awareness Forum. SAVE THE DATES ~ October 20, 2018 @ 1:30pm and November 10, 2018 @ 12:30pm. You don’t want to miss this FREE event!! Come out and be a part of the discussion. 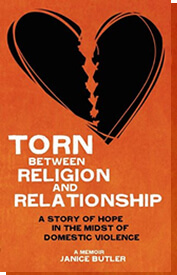 We will be perform the skit “TORN” from Janice Butler’s book ‘Torn Between Religion and Relationship’ and there will be a Q&A session with Janice Butler and Charles Williams (former abuser). You’ve got questions ~ We’ve got answers and resources to find help!! We’ll also be collecting sanitary donations for Giving Hope & Help to benefit domestic violence survivors and shelters. So did I mention, it’s FREE!! Mark your calendars and we look forward to seeing you. You Can Help SAVE a Life! !